On February 26, 2019, the American Apparel & Footwear Association published the 20th edition of the Restricted Substance List (RSL). As the “go-to” resource for industry professionals tasked with chemical management, the RSL lists banned and restricted chemicals and substances for finished apparel, footwear, and home textile products, identifying the most restrictive regulations worldwide. The RSL is an open-industry resource available to both AAFA members and the broader community. "Keeping up with continuously evolving regulations at the global, national, and state level results in major complexities for our members," said Rick Helfenbein, president and CEO of the American Apparel & Footwear Association. "For more than a decade, AAFA has provided the Restricted Substance List as a solution to the complex dilemma of evolving global regulations. It is with great pride that we release this landmark edition to the broader community, as a resource to ensure product safety around the world." The 20th edition of the RSL covers 12 categories with more than 250 chemicals and is updated to reflect additions or changes to regulations and laws that restrict or ban certain chemicals in finished apparel, footwear, and home textile products. The RSL is produced by AAFA’s RSL Task Force, which reviews and updates the list regularly to reflect the latest global regulatory changes. De Rossi & Son Company, Inc., Vineland, New Jersey, has been awarded a maximum $11,351,934 modification (P00012) exercising the fourth one-year option period of a one-year base contract (SPE1C1-15-D-1033) with four one-year option periods for men’s Army coats. This is a firm-fixed-price contract. Location of performance is New Jersey, with a March 3, 2020, performance completion date. Using military service is Army. Type of appropriation is fiscal 2019 through 2020 defense working capital funds. The contracting activity is the Defense Logistics Agency Troop Support, Philadelphia, Pennsylvania. Silver Oak Leaf, Inc., Alpharetta, Georgia, has been awarded a maximum $16,074,375 firm-fixed-price, indefinite-delivery/indefinite-quantity contract for blouses and trousers for the Type III, Navy Working Uniform. This was a competitive acquisition with six responses received. This is an 18-month base contract with three one-year option periods. Location of performance is Puerto Rico and Georgia, with a Feb. 24, 2021, estimated performance completion date. Using military service is Navy. Type of appropriation is fiscal year 2019 through 2021 defense working capital funds. The contracting activity is the Defense Logistics Agency Troop Support, Philadelphia, Pennsylvania (SPE1C1-19-D-1135). Tennier Industries Inc., Delray Beach, Florida, has been awarded a maximum $30,493,800 firm-fixed-price, indefinite-delivery/indefinite-quantity contract for extreme cold/wet weather jackets. This is an 18-month base contract with one, one-year option period. This was a competitive acquisition with seven responses received. Location of performance is Florida and Tennessee, with an Aug. 20, 2020, performance completion date. Using military services are Army and Air Force. Type of appropriation is fiscal 2019, through 2020 defense working capital funds. The contracting activity is the Defense Logistics Agency Troop Support, Philadelphia, Pennsylvania (SPE1C1-19-D-1136). In the appriations bill signed last week, Congress provided funds for the Office of the United States Trade Representative and in Explanatory Statement directed USTR to establish an exclusion process, similar to the process for goods on List 1 and List 2, no later than March 17, 2019. Companies seeking to file for exclusions should begin preparing now, as the process requires highly detailed product description. If Agathon Associates assisted you with comments or hearing testimony relating to List 3, contact David Trumbull at david@agathonassociates.com to set up an appointment to begin the evaluation of any potential exclusion filings. Section 301 Exclusion Process. USTR has finalized tariffs on goods from China under Section 301 of the Trade Act of 1974 in three separate rounds, and provided an exclusion process that allows U.S. businesses to obtain relief from the Section 301 tariffs for goods subject to tariffs in rounds 1 and 2. It is concerning that there is no exclusion process for goods subject to tariffs in round 3 of the Section 301 proceedings, as was done in the first two rounds. USTR shall establish an exclusion process for tariffs imposed on goods subject to Section 301 tariffs in round 3. This process should be initiated no later than 30 days after the enactment of this Act, following the same procedures as those in rounds 1 and 2, allowing stakeholders to request that particular products classified within a tariff subheading subject to new round 3 tariffs be excluded from the Section 301 tariffs. USTR shall consult with the Committees on Appropriations, the House Committee on Ways and Means, and the Senate Committee on Finance regarding the nature and timing of the exclusion process. USTR shall also report to such committees no later than 30 days after enactment of this Act on the status of the exclusion process. 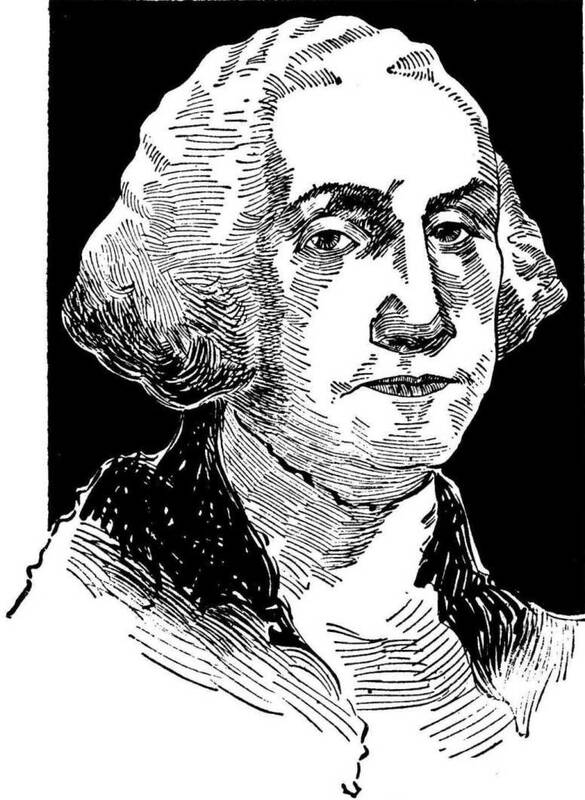 Monday, February 18, 2019, is a federal holiday in the United States honoring George Washington's birthday. Government offices, banks, and some businesses will be closed in observance of the holiday which is annually celebrated on the third Monday in February. Because the date typical falls between the actual calendar date birthdays of presidents Washington and Lincoln, it is commonly called "Presidents Day," although the official designation is "Washington's Birthday." "The great rule of conduct for us in regard to foreign nations is in extending our commercial relations, to have with them as little political connection as possible. So far as we have already formed engagements, let them be fulfilled with perfect good faith. Here let us stop." -- George Washington’s Farewell Address, 1796. Poor George, both revered and kicked around by us. He was born February 11th but when he was 20 Britain and her colonies finally caught up with Catholic Europe by switching to the Gregorian Calendar, moving his birthday to the 22nd of the month. Then, starting in 1971, the Uniform Monday Holiday Act of 1968 moved the official celebration of his birth to the third Monday in February. In popular parlance we slight our first President by neglecting the legal name of the holiday, WASHINGTON’S BIRTHDAY and refer to it as a generic "Presidents’ Day." We likewise neglect Washington's sage warning against entangling foreign alliances. Even in our commercial relations our leaders, not content merely to trade with the rest of the world, have entered into binding agreements restricting our ability to control our own commerce, to encourage domestic manufacturing, or even to protect our citizens from unsafe products. Our legal obligations to the World Trade Organization and our bilateral and multilateral trade agreements entangle us in a network of supra-national laws that can, effectively, overturn the actions of our elected Congress and President. "It is the policy of my Administration to represent the American people and their financial well-being in all negotiations, particularly the American worker, and to create fair and economically beneficial trade deals that serve their interests." During the campaign, Barack Obama, who pushed for the TPP, which would have given preferred access to the U.S. market to Islamofascist Brunei and totalitarian Communist Vietnam, said that Trump would need a "magic wand" to fulfill his promises to restore the U.S. economy to health. Well, President Trump found that wand. The President has brought record low unemployment, record high employment, and rising wages, by going back to the wisdom of George Washington. The National Council of Textile Organizations (NCTO) has announced the appointment Kimberly Glas as the organization's new President & CEO, effective April 29th of this year. Ms. Glas will succeed Augustine "Auggie" D. Tantillo, who previously announced his intention to step down from the same position at NCTO. "I am honored and excited for the opportunity to lead NCTO and to work on behalf of this innovative industry. I am grateful to Auggie for his leadership and all his support and friendship over the years and am deeply appreciative to the NCTO membership for this incredible opportunity," said Glas. "I could not be more excited about taking on this role. I know how critical this industry is to so many across the United States and the value it represents. I am thrilled to be able to work on its behalf to advance its priorities." The Foreign-Trade Zone Board has docketed an application from Woodbridge Group, El Paso, Texas, relating to production of laminates by bonding foam/fabric or foam/film and passing the foam over an open flame. Production under FTZ procedures could exempt Woodbridge from customs duty payments on the foreign-status components used in export production. On its domestic sales, for the foreign-status materials/components noted below, Woodbridge would be able to choose the duty rates during customs entry procedures that apply to: Synthetic textile fabrics laminated with polyurethane foam and woven scrim; vinyl goods laminated with polyurethane foam and knit or woven scrim backing; vinyl goods laminated with polyurethane foam; synthetic textile and cotton mix fabrics laminated with polyurethane foam; and, polyurethane foam laminated with woven scrim (duty rate ranges from 2.7% to 6.5%). Woodbridge would be able to avoid duty on foreign-status components which become scrap/waste. Customs duties also could possibly be deferred or reduced on foreign-status production equipment. The components and materials sourced from abroad include: Vinyl coated fabric with polyvinyl chloride; woven polyester fabric yarn dyed and coated with polyurethane; synthetic leather rolls; vinyl leather imitation; artificial leather cloth; sheets of plastics--cellular--polyvinyl chloride fabric of man-made fibers; sheets of plastics--non-cellular--polyvinyl chloride; sheets of plastics--cellular--100% plastic; rolls of cotton fabric coated with polyvinyl chlorides; fabric of man-made fibers coated with over 70% plastic; fabric of man-made fibers coated with under 70% plastic; sheets of plastics--cellular--polyvinyl chloride--over 70% plastic combined with 65/35 poly cotton fabrics; sheets of plastics--cellular--of other plastics; woven synthetic fabric rolls 100% for automotive industry; polyvinyl chloride leather; 100% polyester knit fabrics; 9803X polyester nonwoven backing; polyester nonwoven scrim; and, knitted polyester fabric 100% (circular knit) (duty rate ranges from duty-free to 14.9%). Commerce Secretary Wilbur L. Ross says, "[Under the] WTO's "Most Favored Nation" rule, we do not have the ability to vary tariff rates in order to directly match or offset the tariffs or non-tariff barriers of one country or another," in promoting the The U.S. Reciprocal Trade Act introduced in the House of Representatives this week...READ MORE. Incidents/Injuries: Four consumers reported the unicorn’s horn detached. No injuries have been reported. Sold At: Target stores nationwide, online at Target.com, and on Google Express from October 2018 through November 2018 for about $27. Importer(s): Target Corp., of Minneapolis, Minn. Distributor(s): Target Corp., of Minneapolis, Minn.
Notice of February 27 Commercial Customs Operations Advisory Committee Meeting. The Commercial Customs Operations Advisory Committee (COAC) will hold its quarterly meeting on Wednesday, February 27, 2019, in Washington, DC. The meeting will be open to the public. 1. The Secure Trade Lanes Subcommittee will present plans for the scope and activities of the Trusted Trader and CTPAT Minimum Security Criteria Working Groups. Recommendations will be presented regarding the proposed Forced Labor Trusted Trader Strategy. The subcommittee will also deliver recommendations from the Petroleum Pipeline Working Group for CBP to develop and codify uniform reporting procedures for pipeline carriers as well as entry and bonding procedures for importers. The subcommittee will also deliver recommendations from the In-Bond Working Group regarding potential automation and process enhancements. 2. The Intelligent Enforcement Subcommittee will provide necessary updates from the Anti-Dumping and Countervailing Duty, Bond, and Forced Labor Working Groups and recommendations from Intellectual Property Rights Working Group. 3. The Next Generation Facilitation Subcommittee will discuss the E-Commerce Working Group's progress on mapping the supply chains of various modes of transportation to identify the differences between e-commerce and traditional channels to address CBP's strategic plan regarding e-commerce threats and opportunities for both the government and trade. The subcommittee will also provide an update on the status of the Emerging Technologies Working Group's NAFTA/CAFTA and Intellectual Property Rights Blockchain Proof of Concept Projects. Finally, the subcommittee will provide recommendations from the Regulatory Reform Working Group upon completing its review of Title 19 of the Code of Federal Regulations to identify regulations for potential repeal or modification to eliminate or reduce costs and burdens for U.S. businesses. Mahesh Amalean, the chairman and co-founder of Sri Lankan apparel and fabric manufacturing giant MAS Holdings, has been honored for his humanitarian work in the apparel sector... READ MORE. China and Russia present unique and serious challenges for members of the WTO and the multilateral trading system, largely because of their failure to embrace the pursuit of open, market-oriented policies, the U.S. Trade Representative said in the annual reports. China became a member of the WTO in 2001 and Russia joined the WTO in 2012. Despite repeated commitments to refrain from forcible technology transfer from U.S. companies, China continues to do so through market access restrictions, the abuse of administrative processes, licensing regulations, asset purchases, and cyber and physical theft. China committed to open the electronic payment services market in 2006. This commitment was confirmed in a 2012 ruling by the WTO’s dispute settlement body resulting from a U.S. legal challenge. Today, the reality remains that no foreign electronic payment services companies conduct business in China’s domestic market. China’s use of export and import substitution subsidies has been ubiquitous throughout the past two decades in sectors as diverse as automobiles, textiles, advanced materials, medical products and agriculture, despite explicit prohibitions in the WTO Agreement. China has repeatedly committed to review applications of agricultural biotechnology products in a timely, ongoing and science-based manner. However, the Chinese regulatory authorities continue to review applications slowly and without scientific rationale, while Chinese companies continue to build up their own capabilities in the area of agricultural biotechnology. China has repeatedly deployed illegal export restraints, such as export quotas, export licensing, minimum export prices, export duties and other restrictions, on scores of raw material inputs, as determined in multiple WTO cases brought by the United States and other WTO members. China has used these illegal export restraints to provide substantial cost advantages to a wide range of downstream producers in China at the expense of foreign producers, while creating pressure on foreign producers to move their operations, technologies and jobs to China. Any review of China’s trade regime also shows that China’s regulatory system is so opaque that it is often difficult for U.S. companies – or even the U.S. government – to fully understand China’s legal requirements in a particular area of the economy. This problem is exacerbated by China’s extremely poor record of adhering to its transparency obligations as a WTO member. These shortcomings create their own trade barriers and undermine the competiveness of China’s trading partners. On March 18, 2019, Consumer Product Safety Commissioners Robert Adler and Peter Feldman and staff are scheduled to meet with Arlene Blum, Executive Director of Green Science Policy Institute (GSPI). The topic for discussion is furniture flammability and flame retardant standards. Augustine “Auggie” D. Tantillo, President & CEO of the National Council of Textile Organizations, has announced his intention to retire from his position later this year. Tantillo has enjoyed a 38-year, multifaceted career in the Washington policy arena, most of which involved direct representation of the U.S. textile industry. Aurora Industries LLC, Camuy, Puerto Rico, has been awarded a maximum $30,507,300 firm-fixed-price, indefinite-delivery/indefinite-quantity contract for jackets, extreme cold/wet weather, GEN III. This is an 18-month base contract with one one-year option period. This was a competitive acquisition with four responses received. Location of performance is Puerto Rico, with an Aug. 1, 2020, performance completion date. Using military services are Army and Air Force. Type of appropriation is fiscal 2019 through 2020 defense working capital funds. The contracting activity is the Defense Logistics Agency Troop Support, Philadelphia, Pennsylvania (SPE1C1-19-D-1133). Coachys & Associates LLC, Roswell, Georgia, has been awarded a maximum $28,390,500 firm-fixed-price, indefinite-delivery/indefinite-quantity contract for jackets, extreme cold/wet weather, GEN III. This is an 18-month base contract with one one-year option period. This was a competitive acquisition with five responses received. Locations of performance are Georgia and Tennessee with an Aug. 1, 2020, performance completion date. Using military services are Army and Air Force. Type of appropriation is fiscal 2019 through 2020 defense working capital funds. The contracting activity is the Defense Logistics Agency Troop Support, Philadelphia, Pennsylvania (SPE1C1-19-D-1134).